I’ve been dating my boyfriend long-distance for 10 months now, and it's been going well. We see each other every two weeks (sometimes we go longer), but it works out considering we both have crazy schedules. He always tries to pay for food or whatever it is that we have planned for our dates, but I usually make it up by either paying for entertainment or whatever else we do. He's a really sweet guy and we come from similar family backgrounds. We've talked about marriage, and he is the kind of person I can see myself with. That said, I've been struggling a lot with this: He doesn't go big on any of the important dates/days, which bums me out a lot. I know it sounds very unimportant, but it really dampens my mood. For example, for my birthday (which came first in our relationship), he got me a special pillow, which I got in the mail a few weeks in advance (and I liked it, of course!). But it was something we bought online together. That was okay I guess, but on my actual birthday, he just called me in the morning and that was it. I was a little taken aback by that, so I thought I'd show him how it's done and even mentioned how I like surprises and thoughtful ideas that make things memorable. I always go big on special days. On his birthday, for example, since it was also our first one together, I planned a surprise dinner with his friends and showed up to the city he's in, and he really liked the surprise! I even got him a nice wallet and roses. And then Valentine's Day came two days later, and he didn't do anything AGAIN, except for saying "Happy Valentine’s Day" at the end of our morning FaceTime call, which frustrated me a lot and kept me in a bad mood the entire day. I'd planned to send him flowers but then I didn't place the order because I didn't want to be the one putting in more effort again. On days when I feel he's stressed and could use a little cheer-me-up, I order him surprise food deliveries just to let him know I'm thinking of him. And this has been quite a few times. But I just feel that it's never reciprocated. Similarly, I suggested that I come to visit him this weekend but he said he had to study all weekend because he's missed a lot of work and can't even spare a night, let alone a day. But then came the weekend, and he was out with his friends all of Saturday night. I know it's something very petty, and trust me it's not about the material gifts, but I'd just like to have little sweet gestures – to feel a little cherished. A letter maybe? Or a cute email? Some flowers? It doesn’t even need to be anything that's bought, to be honest! Is that too much to ask? I feel that I bring this up a lot and this is one of the things we argue about, and it makes me feel like I'm just being too high-maintenance. Am I in the wrong here? Please help. It's not too much to ask – as long as you really ask. You say you've brought this up a lot, but have you been specific? As in: "I'd like to celebrate Valentine's Day with gifts this year." If it's not in his nature to go big with a holiday, it helps to have a conversation about expectations. Yes, it can seem less romantic when you have to spell it out for someone, but he won't get it otherwise. You say you're from similar backgrounds, but not when it comes to celebration. Also know that some of this is about the distance, in general. These gifts and romantic surprises mean so much more to you because you don't have bonding time on a daily basis. When you live near the person you're dating and can see them whenever, there's a lot of organic romance that can make the big events slightly less important. In your case, everything is wrapped up in FaceTime calls, visits, and holidays. That's a lot of pressure. As for him going out Saturday night, it happens. Sometimes we think we're going to study all weekend but we wind up relaxing with friends. Plan another weekend and see how it feels to be together, in person. Talk about all of this stuff when you're face-to-face. Readers? Too much to ask? How do I stop his mansplaining? 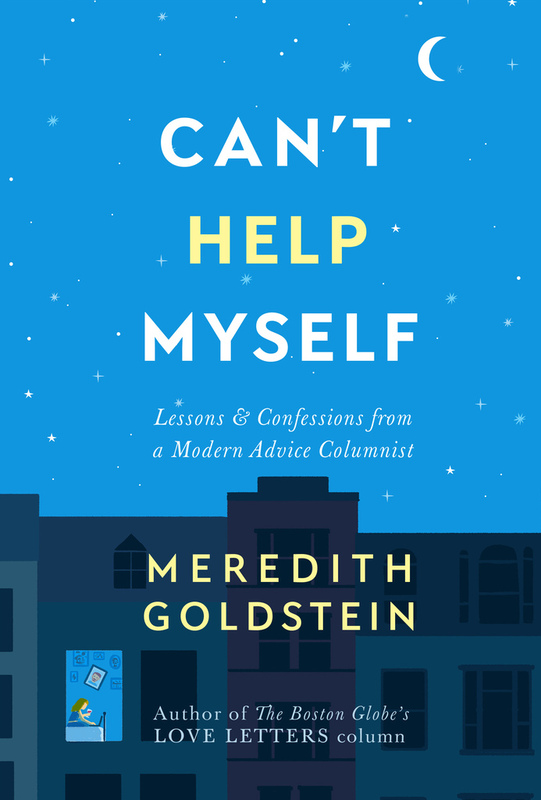 CAN’T HELP MYSELF is Meredith’s memoir about giving advice, learning from readers, working with an ex, and moms and daughters. It’s also a story about how an online community can become another kind of family. Don't have an account? Register at Boston.com.